Download the free 21 Day Vegan Soup Challenge Guide to get PDFs of the weekly grocery shopping list to make these recipes plus get all the other resources for the challenge in one cozy bundle. 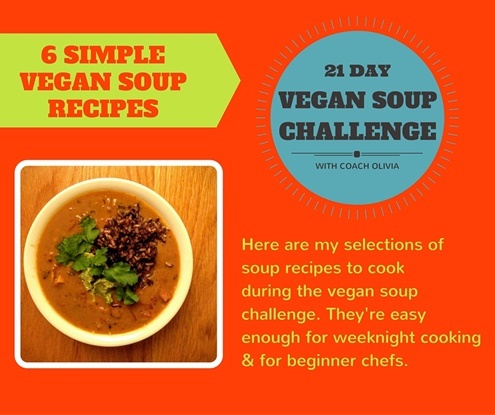 Are you doing the 21 Day Vegan Soup Challenge? What soups will you cook? Leave a comment with links to any new recipes. Don't forget to participate in the Vegan Soup Challenge Facebook Group this February too.